This galaxy was discovered by Mr. Bode long time ago in 1774. It’s located 12 million light years from Earth in constellation Ursa Major (Great Bear). This galaxy has a neighbor Cigar galaxy M81 (left). 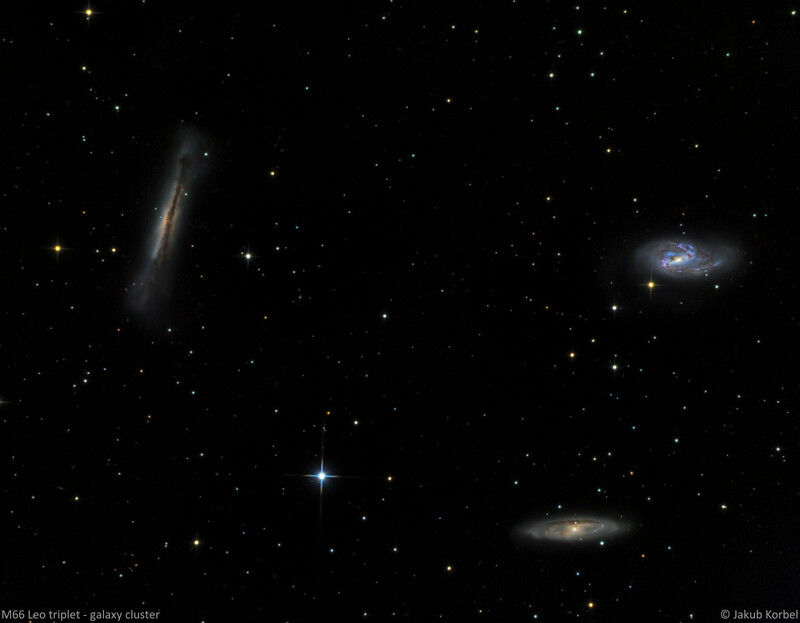 Leo Triplet is small group of 3 galaxies. They are approximately 35 million light years from Earth. Two of them (M66 – top right and M65 bottom right) were discovered by Charles Messier already in 1780. At that time there was no light pollution, therefore these galaxies were nicely visible. 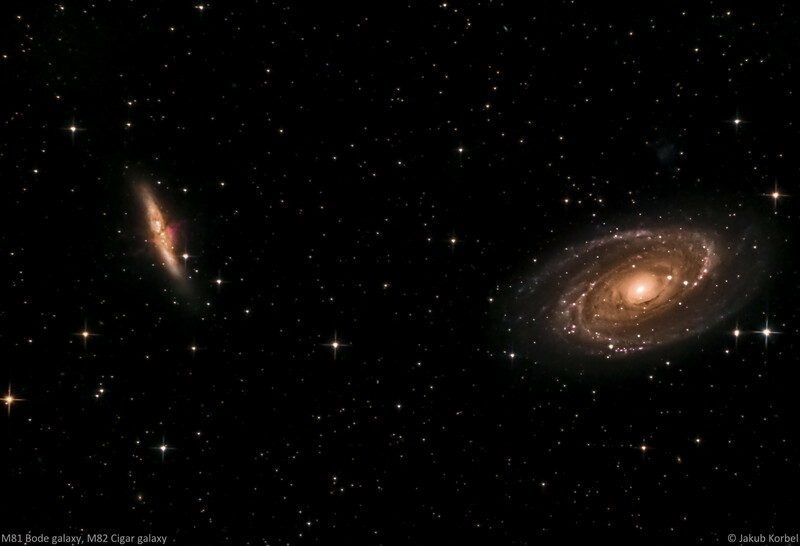 Third one – NGC3628 Hamburger Galaxy (left) is dimmer, therefore was hidden till 1784. It was discovered by William Herschel and catalogued by John Louis Emil Dreyer in New General Catalogue (NGC) of deep space objects. 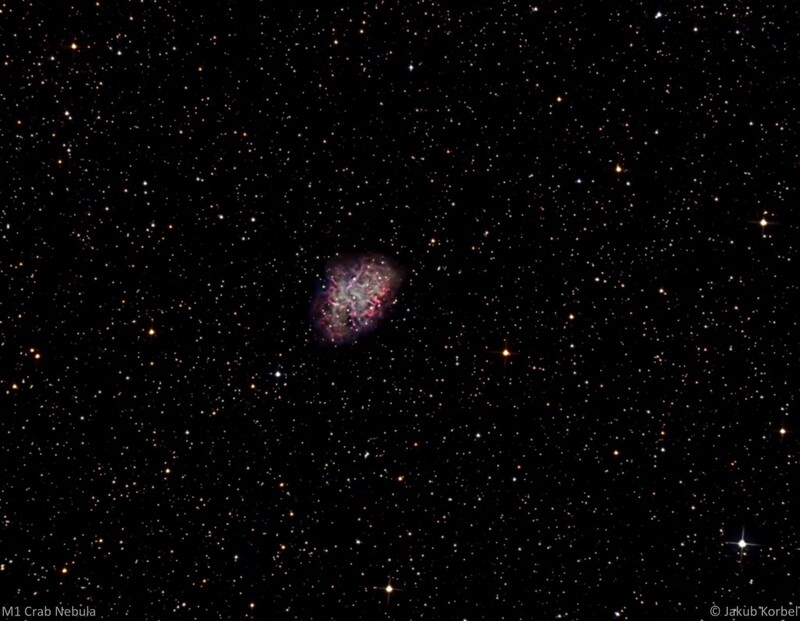 Crab nebula is the first discovered supernova remnant in history. It’s approximately 6500 light years from Earth and has diameter 11 light years. Letter M1 stands for first position in the catalogue of deep space objects, created by Charles Messier. This guy started to work as an assistant for French Navy astronomer Joseph Nicolas Delisle. He had lovely job – comet hunting. Almost every evening, just observing the skies would be my dream job. During year 1757 his supervisor calculated the return of Halley’s Comet. Unfortunately, or maybe fortunately, monsieur Delisle was wrong and poor Messier was observing wrong part of the sky at wrong time. However he saw something, the object which was not moving, compared to comets. He discovered Crab nebula. Later on, he pointed this telescope to other directions and created probably the most popular catalogue of amateur astronomers and astrophotographers living on northern hemisphere, containing more than 100 objects. I am not particularly proud of the image I am showing here. Triangular stars, not fully sharp. I can do better than this. So M1, you will meet my telescope in the future again. Copyright © 2019, AstroFotoBlog. Proudly powered by WordPress. Blackoot design by Iceable Themes.